For my last Page Presents class of the season (as I prepare to be furloughed for at least three months), I chose the Hmong folktale, Nine-in-One, Grr! Grr! This is a delightful story, told by Blia Xiong and adapted by Cathy Spagnoli, with gorgeous illustrations by Nancy Horn based on Hmong embroidery. Everyone admired my puppet, which was dressed somewhat authentically in an actual piece of Hmong embroidery, as well as a special mask Stuart that had created for it! In the long ago time, when the Earth was much closer to the Sky, the First Tiger was very lonely because she and her mate did not yet have any cubs. Tiger brooded about this and decided to journey up to the Sky, to ask the great Shao how many cubs she would have. Shao comes out to meet her. Tiger is overjoyed. But Shao cautions her that his prediction will only come true if she remembers his words. When Bird finds out what Tiger’s song means, he is dismayed and begs Shao to take back his words. But Shao refuses, saying only that his prediction holds only as long as Tiger remembers. This gives Bird an idea, and he flies swiftly back after Tiger. And that is why there are not too many tigers in the world! Here are a lot of Tiger cubs! Caitlyn, who has been coming for over a year but is always very shy and solemn, suddenly got in touch with her inner Tiger and hugely enjoyed scaring me with her ferocious roars! I love it when bashful kids shed their shyness and start participating fully in the fun. One of the mothers reported that her son has started making up his own puppet plays. She said he first announces the play, then goes off and rehearses it, and finally summons everyone to the performance! I fell in love with Aaron Shepard’s version of this African story, which is sometimes called The Daughter of Sun and Moon. For quite a while now, I’ve been wanting to design a puppet show instead of cobbling together a mismatched set of puppets from my collection and my branch’s collection. I didn’t have time to make new papier-mâché puppets, so I decided to make masks for my puppets! Kimana, a man of Earth, decides that he wants to marry the Sky Maiden. So he writes a letter to the Sun Chief and asks his friend, Rabbit, to carry the letter up to heaven for him. So Kimana takes his letter and goes to see his friend, Antelope. “I may be fast, but I cannot go to heaven!” Antelope retorts. So Kimana goes looking for his tallest friend, Giraffe. Good day to you, my sister. Good day to you. Then they fill their water jugs at the well and climb back up the spiderweb to heaven. Frog takes the letter and hops into one of the jugs when they aren’t looking. He waits until they put their jugs down and leave the room. Then he hops out, places the letter on a bench, and hides in a corner. “Don’t ask me, ask your daughter!” the Moon Lady suggests. So the Sun Chief writes a letter and leaves it on the bench. “This I cannot do,” Kimana declares. “Then I will take it for you,” says Frog. The Sky Maiden replies, “Then it is you whom I will marry! The Sky Maiden and the Frog went back up to heaven, where they got married with much happiness and rejoicing. They lived on and on. But Kimana is still waiting for his bride. I had been saving discarded CDs for a while. We used some on the robot bodipuppets we made in March. It occurred to me that they would make wonderfully bright eyes for Frog masks, and they did! I was discouraged and depressed tonight because the Albuquerque City Council just voted (5 to 4) to fund a lot of new construction projects, while cutting 6 or 7 library positions. The library system has sustained a 25 percent cut in personnel since 2007 relative to an 8 percent cut in personnel city-wide. If you go back ten years, it’s more like a 40 percent cut. Yet the mayor insists that library hours must be maintained. The City of Albuquerque is forcing the library system to use the unfair practice of employing permatemps to keep the libraries open. Temporary librarians, who have master’s degrees in library and information science and years of experience, are making $11.67 per hour with no benefits as they work side by side with regular city employees who make a regular salary with benefits. Every two years, the temps are laid off for 3 months and then rehired. Since I am a temporary youth services librarian, and about to be laid off just in time for the Summer Reading Program, you may understand my frustration. The challenge, Tyson believes, is to get out of the way of their curiosity, let them develop their skills, use their creativity. Yes! Neil deGrasse Tyson knows that libraries are places where kids get to explore their passions, feed their curiosity, and be creative. And librarians are guides, creative catalysts, mothers and fathers of invention, and fellow explorers. The mayor and his cronies, on the other hand, (who, under pressure from library supporters, grudgingly penciled in a lame, cockamamie proposal that might add in some money for library positions dependent upon the fluctuation of the price of gasoline if the city is able to lock in a favorable price) don’t seem to understand or care how libraries work together with the schools to support education. In a state in which 80 percent of fourth graders don’t read at grade level, the summer reading program is a crucial backup to stop summer reading loss. As Councilor Garduño told the mayor—after pointing out that Albuquerque was next to last in per capita dollars spent on libraries among a list of “best cities to retire to”—you can keep building those big houses up in the hills while letting the infrastructure crumble, but you can’t keep on fooling the people. Speaking of fooling the people, Channel 7 news reported that the council voted to restore the library positions. It will be interesting to see what the Albuquerque Journal reports tomorrow. 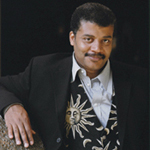 Neil deGrasse Tyson, thank you. City Council members Sanchez, Garduño, Benton, and O’Malley, thank you for your support for libraries. Thank you for taking the long view. Thank you for believing in our children. Tomorrow night I’ll be at the Inez Elementary School’s Family Summer Reading event talking up our library’s Summer Reading Program, which will be missing a youth services librarian. The Name of the Tree, retold by Celia Barker Lottridge and illustrated by Ian Wallace, was our featured story at the May 13 Page Presents class. Since our story was from Africa, Mr. Matt got the kids going with body percussion to the African market place rhythm. Then he handed out shakers to some of the kids and added a steady shaker rhythm to the mix. Finally he handed out claves to another group of kids and taught them a clave rhythm. Maestro Matt had THREE rhythms going all at once, played by preschoolers, meshing perfectly!! It was thrilling. Ungalli, Ungalli! The name of the tree is Ungalli! My staging for the story was fairly elaborate. The stage was covered with desert camouflage and colorful textiles. Bantu, the chimpanzee puppet, was sitting above the stage and began telling the story of the animals starving during the long dry time. When they reached the tree, the animals were overcome with the scent of its delicious fruits. But they discovered that the tree was too tall for even the giraffe to reach, and its trunk was too slick for the monkey to climb. The animals sat down at the foot of the tree and cried. But the Great-Great-Great-Grandmother Tortoise spoke up and told them that she remembered hearing of a wonderful tree that would bend down and offer its fruits if its name was spoken. She was sure that the King would remember the name of the tree. And, to this very day, all of the animals still remember the name of the tree. After the story, the kids made fabulous Tortoise shakers from paper plates (with a paper bowl for the carapace, and a small paper plate for the plastron) decorated with African textile designs, with beans and popcorn stapled inside. Our monthly Origami Cool Zone for May featured modular origami flowers and the star box model used as a flower basket. The origami flowers were made from three miniature versions of the module for the money lotus, simply connected with a pipe cleaner stem. There were several variations available, depending on how many modules were used. The traditional star box made a perfect basket for these lovely flowers for Mother’s Day. May 6 marked the premier performance of the Tony Hillerman Library Story Theater at our Page Presents class! While we were chuckling over Mo Willems’ marvelously silly book, I Broke My Trunk, Gail (our adult services librarian) got the idea that we should present a readers’ theater performance of it. Especially since our personalities rather closely match that of Elephant and Piggie. So we had a ball bringing the story to life, wearing the Gerald and Piggie masks I made for us—out of paper plates, naturally! As you can see, this also inspired a new READ poster in my continuing series! Afterwards, the kids could choose to make an Elephant mask or a Piggie mask. I was a little worried that a disproportionate number would prefer one over the other and that there might be tearful expressions of woe. But happily I had enough for everyone, with an equal distribution of Elephants and Piggies. Carlo and the Really Nice Librarian, by Jessica Spanyol, was our featured story for the April 29 Page Presents class. Carlo the giraffe and his friend, Crackers the cat, visit the library for the first time. The library is amazing! But Mrs. Chinca, the alligator librarian seems a little scary at first. But Mrs. Chinca introduces Carlo and Crackers to such cool books, and her enthusiasm is so infectious, that the pair soon get over their shyness. Some reviewers have seen this as a negative stereotype of librarians. I prefer to view it as the shyness that many kids experience when meeting any new adult. I don’t think we should be that literal-minded, especially when animals are the anthropomorphized protagonists! It was fun to get to use my alligator puppet, and to collect a number of small books that would fit snugly into her mouth. I also reused the library backdrop that I had created for my puppet show of The Library Lion last fall. For Mrs. Chinca’s favorite book (which is discovered to have a bite out of it) I used a small pamphlet of recommended children’s books that was produced by my local library when I was a young child! It seemed like a wonderfully à propos synchronicity. The kids made giraffe paper bag puppets afterwards, and they had fun playing with them in the puppet theatre. Cool After School: Paper Airplanes! The grand finale of this year’s Cool After School classes on April 27 featured paper airplanes. And it was just as much fun as you might imagine! We started out by folding Yes Mag’s excellent glider (which requires a sheet of 8.5″ x 14″ paper). But soon everyone was sharing tips on their own favorite designs. I had also collected a LOT of books on folding paper airplanes, and some kids immediately began browsing for new designs to test. The kids had a lot of creative ideas, including piggybacking gliders, which separated in flight and went off in different directions. We had to retrieve stranded planes from the overhead beams and various other locations. But soon we were to be really impressed when Beckham, who had gone straight to the books, folded a supersonic plane launched with the aid of a rubber band that wound up on top of the HVAC ductwork very near the ceiling…and it is still there. We had the largest turnout ever, and the airspace of the children’s room was white with fleets of paper aircraft! Our Page Presents class for Earth Day was inspired by the book, The Great Kapok Tree: A Tale of the Amazon Rain Forest, by Lynn Cherry. In this story, a forester begins chopping at the kapok tree, but grows weary and takes a nap at the foot of the tree. While he is sleeping, a procession of birds and animals approach and whisper into his ear about their need for the tree and their wish for its survival. For my version of the story, I changed the setting to a temperate forest. Stuart dressed up in his Oak Tree costume, and I asked for a volunteer to play the part of the forester. The succession of animals who came to whisper in the forester’s ear were Snake, Bee, Raven, Robin and Bluejay, Lynx, Weasel and Skunk, Rabbit, and Bat. In the end, the forester spares the tree. I introduced the story with a personal story about a time when I visited the Washington Park Arboretum in Seattle, where I encountered the most gigantic cottonwood tree that I have ever seen. Its canopy came all the way to the ground, creating a completely enclosed space underneath the tree. As I ducked under the branches, I could see that the huge roots created an inviting, armchair-like place to sit at the foot of the tree. Nestling contentedly into the tree’s arms, I sat there for a long time. Gradually, I became away of many rustlings, comings and goings, and general busyness in and around the tree. I suddenly realized that the tree was a living high-rise condominium, the home for hundreds, if not thousands of beings. Eventually, I came back to myself with a start, remembering that I had strayed away from friends who were probably wondering what had become of me. I bid the tree farewell and hurried off in search of my friends. On the way back through the park, I came upon a little boy, perhaps about three years old, communing with a small flowering tree that was just his size. I stopped for a moment, because I saw that he had been captivated by this small tree just as I had been by the monumental tree. His mother was standing back, letting him take his time. How lucky he was to have a parent who understood how to support and cultivate the sense of wonder in her child—instead of rushing him off to see the next tree, and the next and the next. After the story, Stuart took off his mask. I told the kids that he had molded the mask on his own face, and I asked them if they could see the resemblance. “Yes! It does look like him! Oh! I see it!” they cried. Afterwards, the kids created beautiful tree bodi-puppets. Cool After School: Sun Prints! For our Cool After School program on April 20, we took a field trip into the rose garden surrounding the library to find material for making sun prints. It was a beautiful day, and the kids had a blast running around in search of interesting weeds, leaves, and seedpods for their sun prints. In our shade structure, we discovered some mushrooms, which we added to our collection. We used the cyanotype process, which is the same process that was used to make architectural and engineering blueprints. Although the process was discovered by the English scientist and astronomer Sir John Herschel in 1842, it was the English botanist and photographer Anna Atkins who first used the process to create photograms to document plant life. Because of her pioneering work, she is regarded as the first female photographer. As an experiment, we made some sun prints using regular construction paper, with an exposure of about three hours. It worked, but the images were faint and not nearly as exciting as the ones we made using specially treated photosensitive paper. We used regular paper to work out our designs, then quickly moved them onto the special paper, keeping it covered with a piece of cardboard to limit its exposure to light until we took it outside. Covering the vegetation with a piece of clear plexiglass to keep it from blowing away, we exposed the designs to the sunlight and waited for several minutes. Getting to mess around with water added an extra dimension of fun to the project! The finished designs were even more beautiful than we could have imagined!